No time seems good to talk with people about slimming down on the amount of stuff they retain as they remain in their homes – ourselves included – but this is as good a time as any. It’s especially good as we are entering the last six weeks of 2018. As we head toward the end of the year, this is a great time to evaluate what we (all of us, clients and ourselves) have around us that might be taking up more than their share of our living space. It’s OK to go through life with mementos and souvenirs of the journey as long as they don’t become burdensome. As we prepare to face a new year, we should begin evaluating just how much of our current stuff we want to take with us as we move forward. Clearly, we could do without a lot of it, but the point is whether we want to or not.into the new year. Do we want to travel a little lighter into the new year and not have so much stuff to take with us, or is this just wishful thinking to want to slim down on what we have? Are people really interested in paring back? 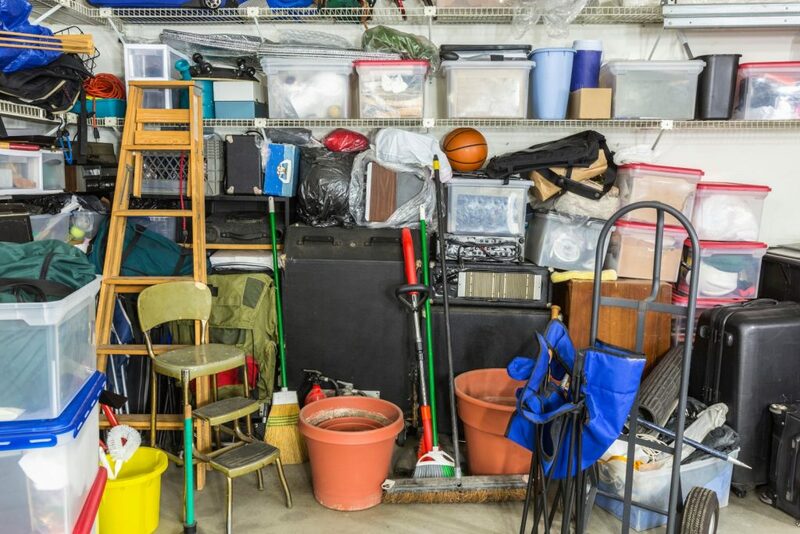 Even when their stuff has taken over much more of their home than we would like to see, they may not be willing to make any adjustments or toss aside anything they have. They likely will continue adding to it. Can we really help? We know that spring cleaning is a traditional activity that happens after the winter months to signal a new season and put everyone into a good mood, but is it just a cursory exercise? Does it have meaning? Even with good intentions, we can spend a lot of time reviewing the items we have, lapse into memories of each item, and end up not tossing anything or only a few items each time. This is a perfect time to begin cutting back a little – and it can begin with just a little – on what we have been keeping. When we want to lose weight, we don’t set out to drop ten pounds in a week. It has to be more gradual, but we have to be committed to it. Reducing our clutter, storage, or stuff is no different. A little at a time is going to be much easier on our emotions. Cutting back – even a little – on what we have been saving or retaining from the past is a great way to get ready for enjoying the future without so many things getting in the way. Let’s get ready for new memories without having all of the old ones getting in the way and taking up space. While we are talking to our clients about getting them to begin this process, we should get into the act ourselves – leading by example. Besides, we might find out how involved or difficult it is to begin pouring through piles and boxes of stored materials – whether they are still usable and serviceable or not. Some may be pure junk that should have been tossed at the time but just never was. With the new year providing a fresh start with a blank slate in front of us, what a great way to demonstrate that we are accepting this fresh beginning than by decluttering our living space and cleaning out our home – and then helping or encouraging our clients to do the same? We have the power to get rid of unwanted, broken, or surplus items that have been sitting around or getting in the way. Let’s seize it. It may not be easy or fun, but it is a useful activity that can be started right now and continue. There is no time limit for getting finished, but our homes will look and feel better being a little slimmer than they were when we started. Who knows what we might find that we had given up hope of ever seeing again or a useful item that we had forgotten that we had. The items that have lost meaning for us are the first ones that can go. Next, the broken items, empty packing boxes, and instructions or warranty papers for items that we already have discarded, no longer work, or aren’t made anymore can be tossed without any concerns that we might need them again. This may seem like a task we have been dreading or just putting off, but getting started will help – even if the progress is slow or bogs down. Nothing will be done to solve our storage issues if we don’t at least get started, and now seems like a good time to begin.